We have a lot of things going for us on this site. Fantastic archaeology, dry working conditions (for some of us), and now we even have our very own finds processing area! Ok, that last one might not sound important, but it is. 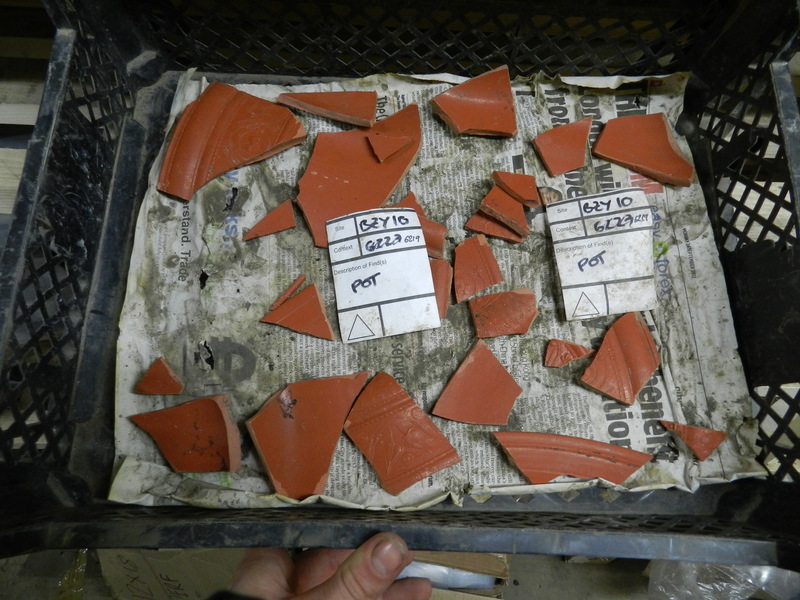 On a normal excavation, finds processing (sorting, washing and labeling), or ‘pot washing’ as it is affectionately known, takes place away from site at dedicated facilities. 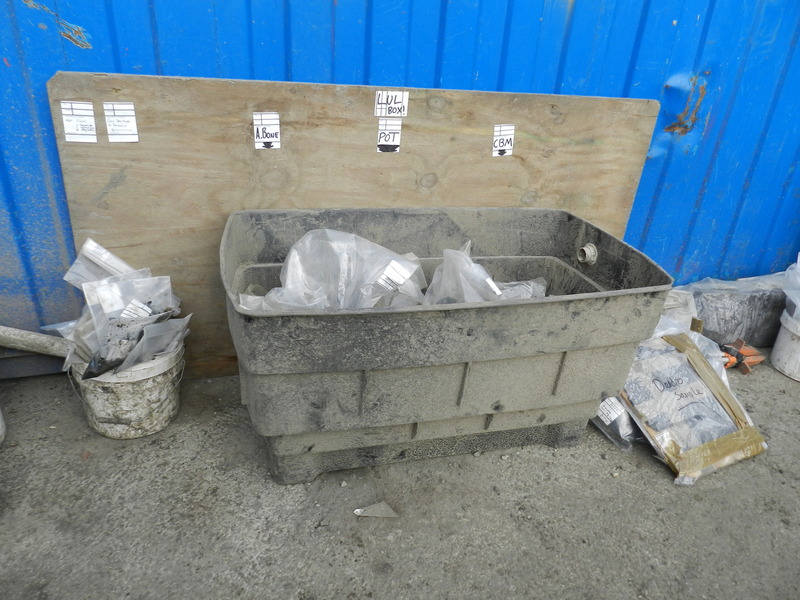 Important or valuable small finds are taken away immediately (storing them on site risks them getting damaged and makes us targets for thieves), but large quantities of bulk finds and environmental samples have to wait on site until they can be collected. This creates numerous problems. For one, space is always at a premium on construction sites, and you’d be amazed how much space a week’s worth of animal bone and soil samples can take up. There are problems associated with storing wet and muddy finds for too long in plastic bags, as mold can grow on everything from bone to pottery if they are not properly looked after. Additionally it often leaves our archaeologists a bit in the dark; it can take months for finds to be processed and assessed, meaning the diggers never find out what ‘that interesting bit of pot’ actually was. 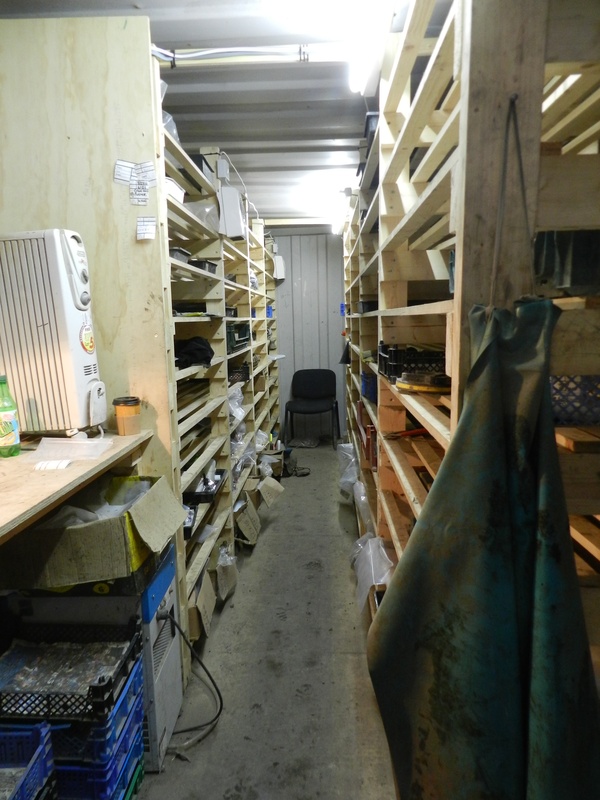 At the end of every day, bulk finds are brought to the processing area and put in the correct storage bin. Robust finds, like animal bone, pottery and ceramic building material (bricks and tile, or CBM for short) can be kept outside. More fragile items, such as wood, glass and leather (which need to be kept wet) or plaster (which needs to be dry), are kept indoors in appropriate wet or dry boxes. 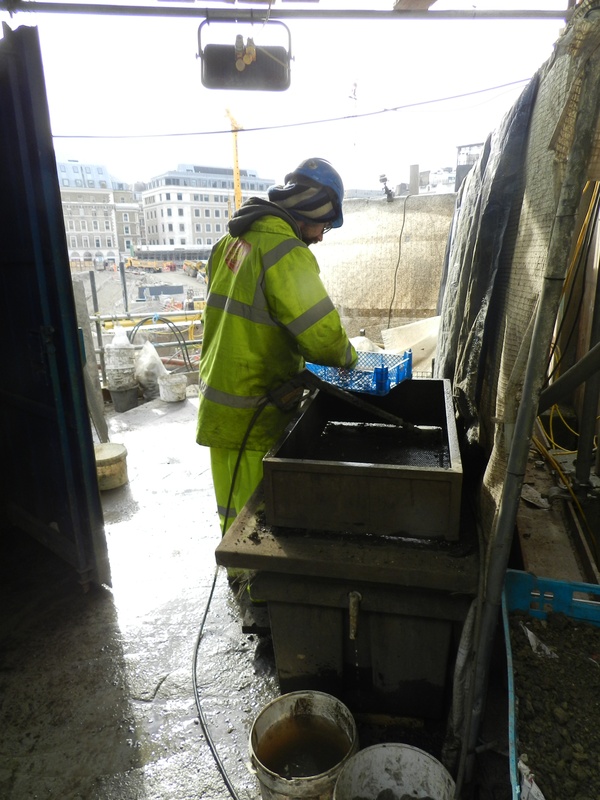 All metal work and any special finds are immediately removed from site for security reasons. At this stage the finds are fresh from the trench, soaked through and caked in mud. 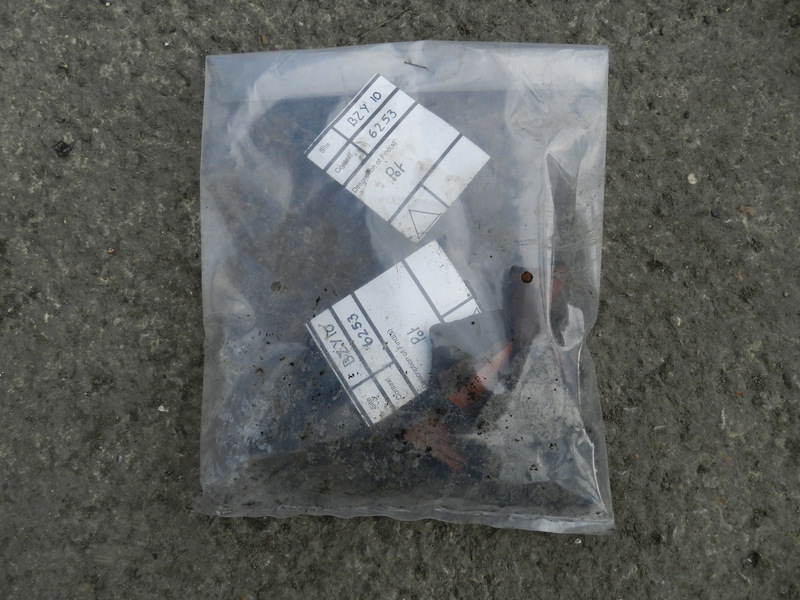 Each bag contains two waterproof labels, on which is written the site code and the context number of the deposit in which they were found. 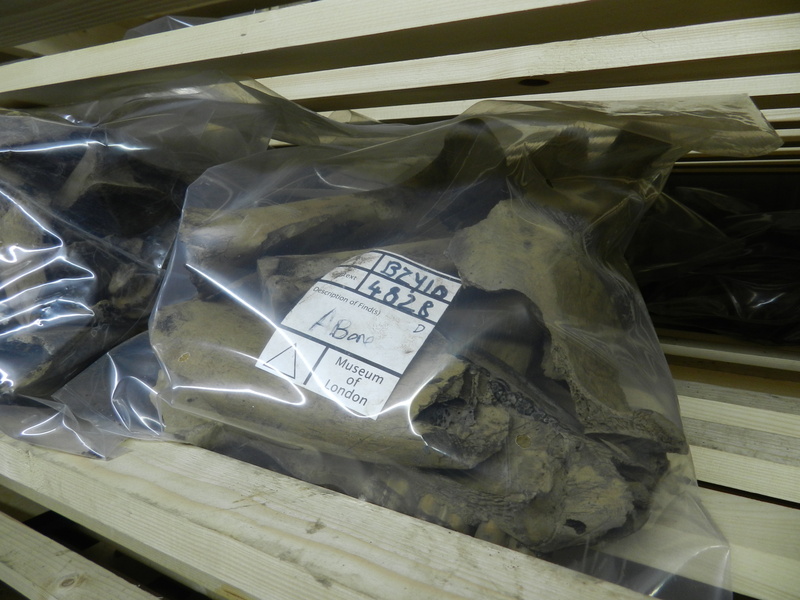 These labels are kept with the finds all the way through their processing, and mean that when they are analysed the information can be related straight back to the feature they came from. Bulk finds are emptied from their bags and cleaned with a hose. Some people may have images of volunteers sitting around with toothbrushes, but with the quantity of material that comes off our site, MOLA have a slightly different technique. Any finds that are robust enough are hosed down over a fine mesh. This isn’t as unprofessional as it seems though; the mesh is so small that it will catch any small pieces, and using a hose reduces the abrasions caused by continuous brushing. …which are then left to dry on the shelves of our drying room. Once dry, the finds are re-bagged ready to be picked up and taken to the office, where they will be examined by the relevant specialists. Doing things this way means that much less energy is wasted hauling bags of 50% mud into the van, and makes the finds much less likely to deteriorate. It also means that we get information almost instantaneously about the finds from site, and our archaeologists can see their cleaned objects in all their glory! If you would like more information about MOLA’s artefact based services please visit our website. 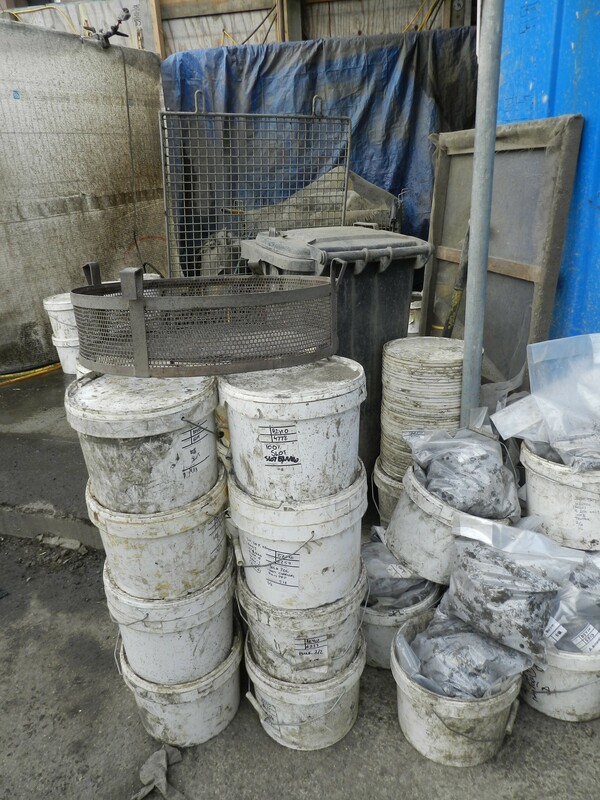 Additionally the Thames Discovery Programme runs training courses in finds processing. Please click here for details.